Apparently signed and dated on the back (now no longer visible): Stephen Pearce 1850 (the date subsequently amended to 1851). 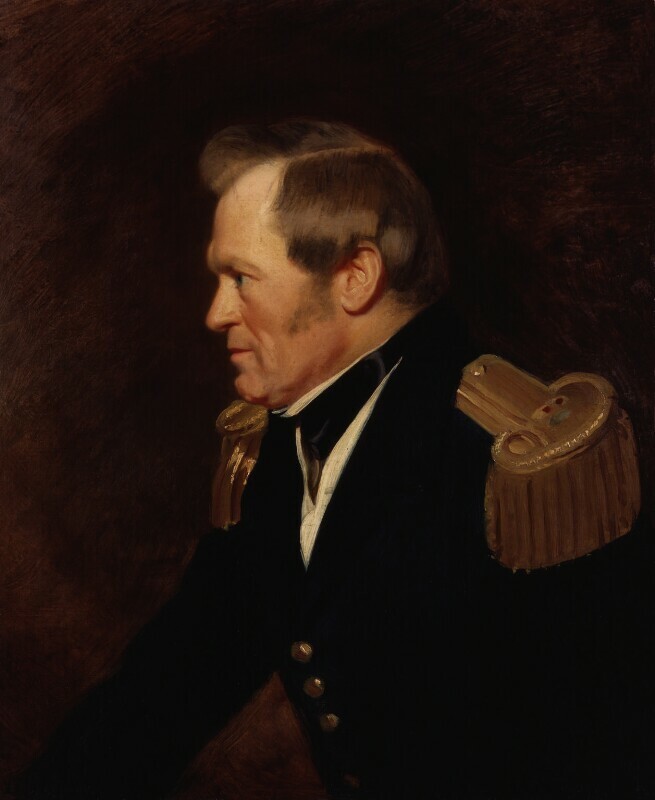 This is a study for Pearce's group of the 'Arctic Council, 1851' (see NPG 1208), as well as an autonomous portrait in its own right. In the finished group, Richardson is shown three-quarter length pointing at charts on the table, but his pose is identical with that in this study. He is wearing the undress naval uniform (1856 pattern) of a staff surgeon (i.e. a surgeon with over twenty years service). In a memorandum of c.1899 (NPG archives), Pearce records painting the NPG study in 1850. The date on the back of the portrait was originally recorded as 1850, but was later amended to 1851 for reasons unknown. Most of the studies for the 'Arctic Council' were executed in 1850. S. Pearce, Memories of the Past (1903), pp 53-5. Healthy complexion, blue eyes, light brown hair. Dressed in a black stock, white shirt and dark blue naval uniform with gold-braided epaulettes. Background colour darkish brown. Commissioned or purchased by Lady Franklin, and bequeathed by her niece, Miss Sophia Cracroft, in accordance with the wishes of her aunt, 1892. Royal Naval Exhibition, Chelsea, 1891 (32).